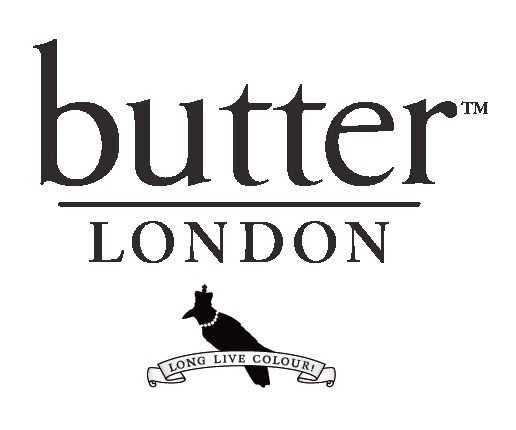 www.butterlondon.com, and in fashion boutiques, specialty retailers, and beauty apothecaries around the globe. To celebrate the launch of their new Autumn/Winter 2012 Collection, Butter London is hosting this amazing giveaway! There will be 5 winners \o/ each winner will get choose one of the sets that they like. They can choose from any of the five pictured above: Toff, Come To Bed Red, Tea With The Queen, La Moss or Queen Vic. Each set contains two products: One matching lippy and lacquer (1 lippy & 1 lacquer) from the autumn winter lippy/lacquer collection. All you have to do is fill out the form below. In the form, fill in your information and answer the question: Which matching lippy/lacquer color you want butter LONDON to come out with next? This giveaway ends September 23, 2012 at 1:00 p.m. Pacific Time, and it is open to all U.S. Residents. Be sure to like their Facebook Page and follow them on Twitter if you haven't already. You can browse the current Matching Lippy/Lacquer Sets that Butter London already offers here and you can browse just the nail lacquers here. OMG that would be epic! So fun! I would love to see a Cake-Hole lippy. Thanks for the giveaway. Super excited for giveaway.,,LOVE your products! Great Giveaway, thank you. Love Butter london! Awesome! I want a Macbeth lippy!